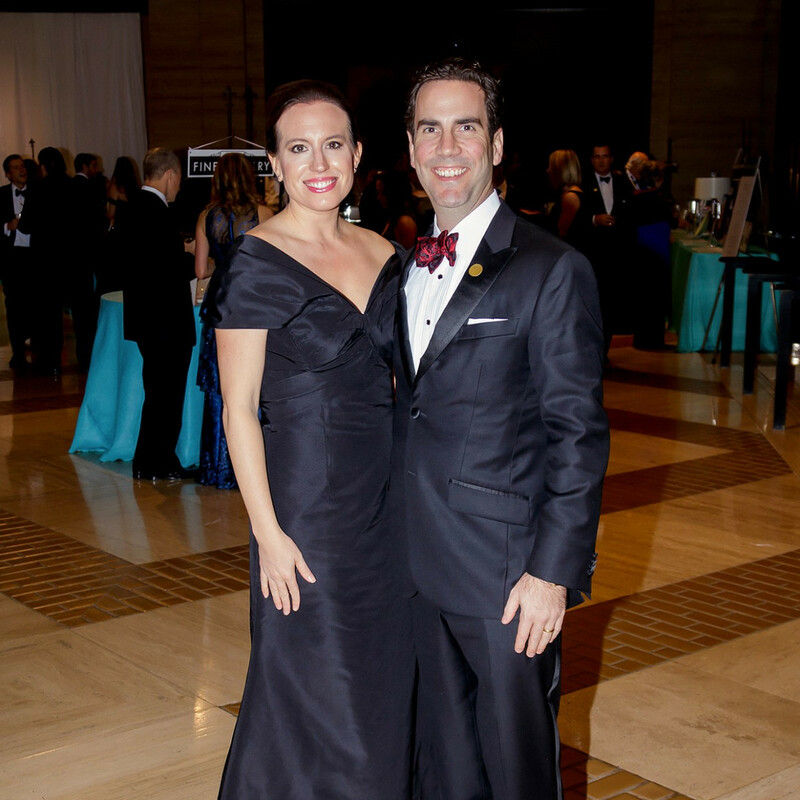 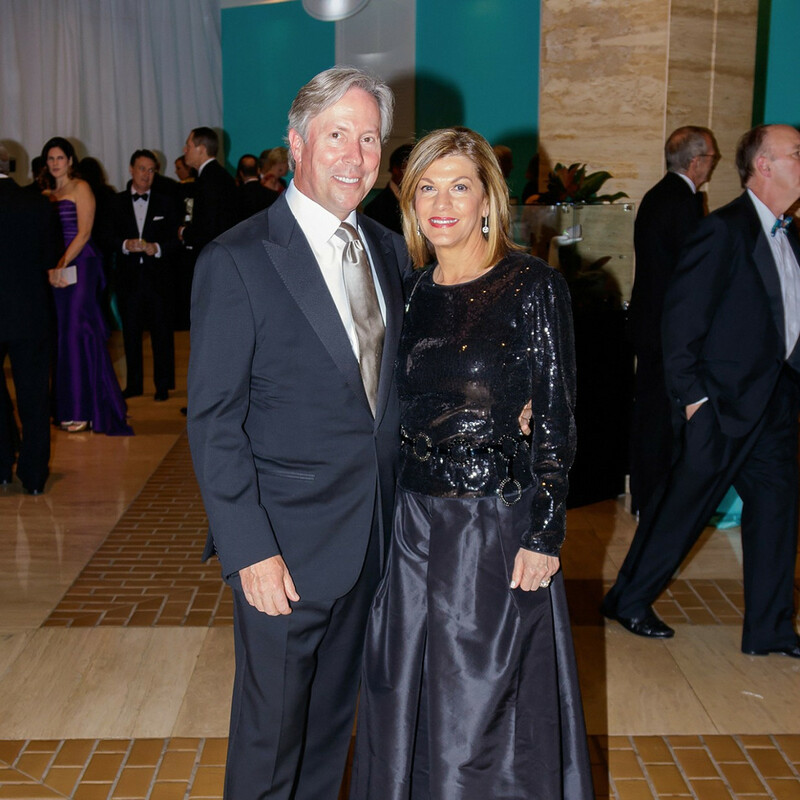 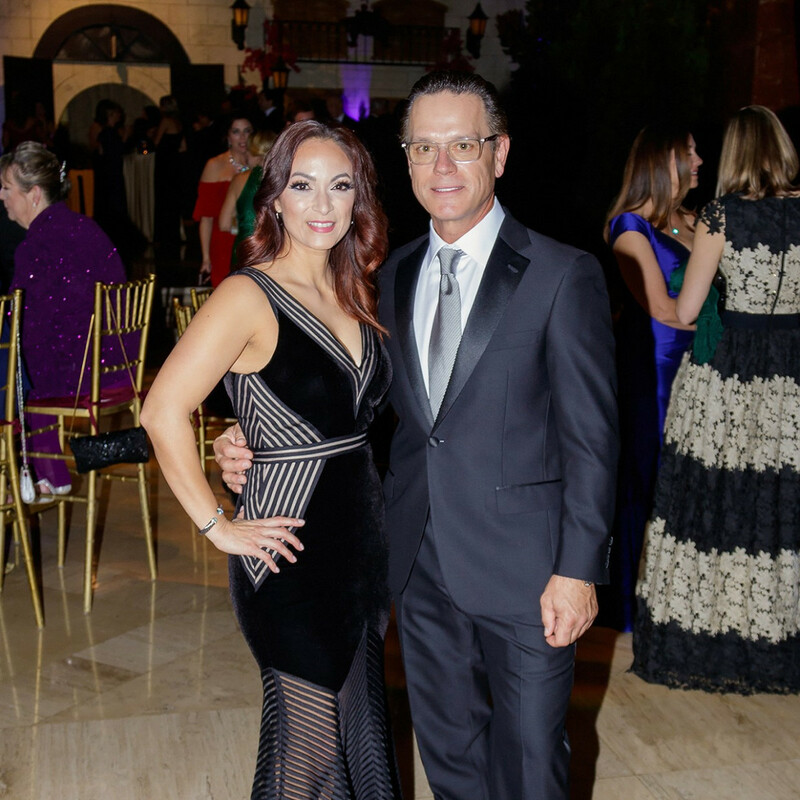 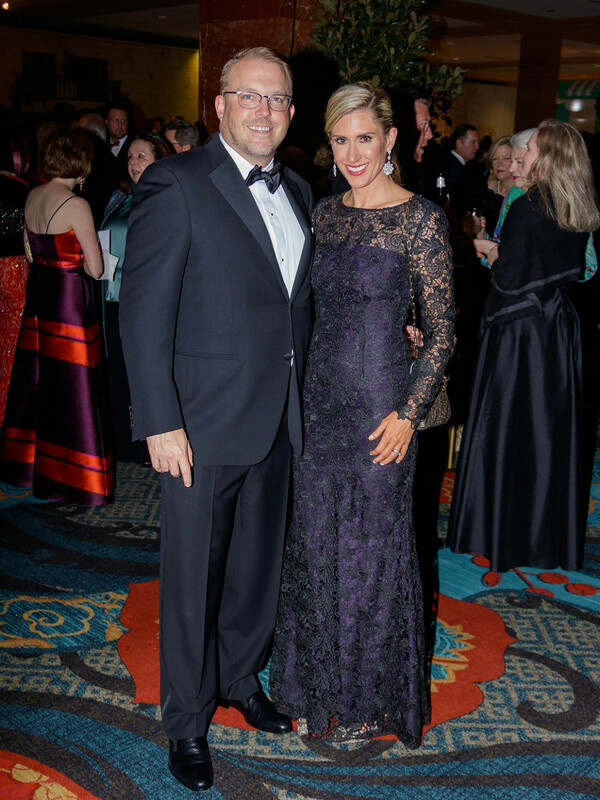 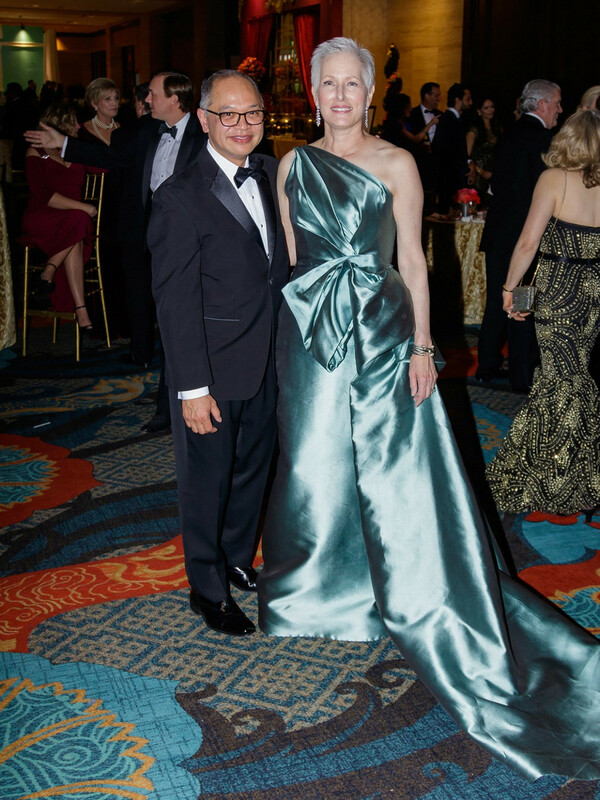 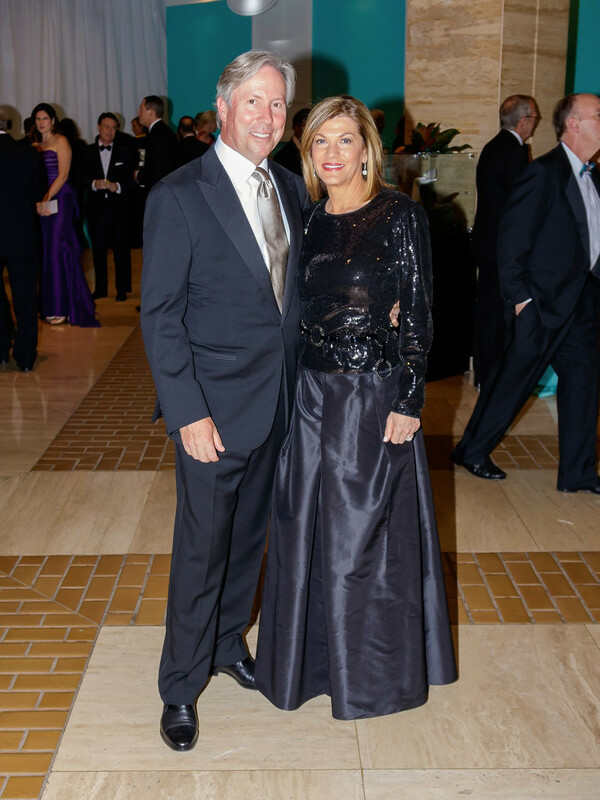 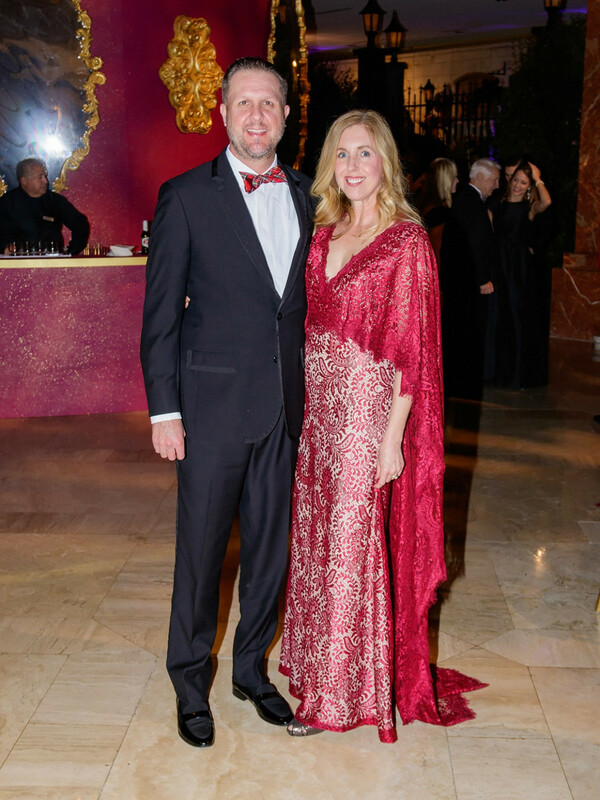 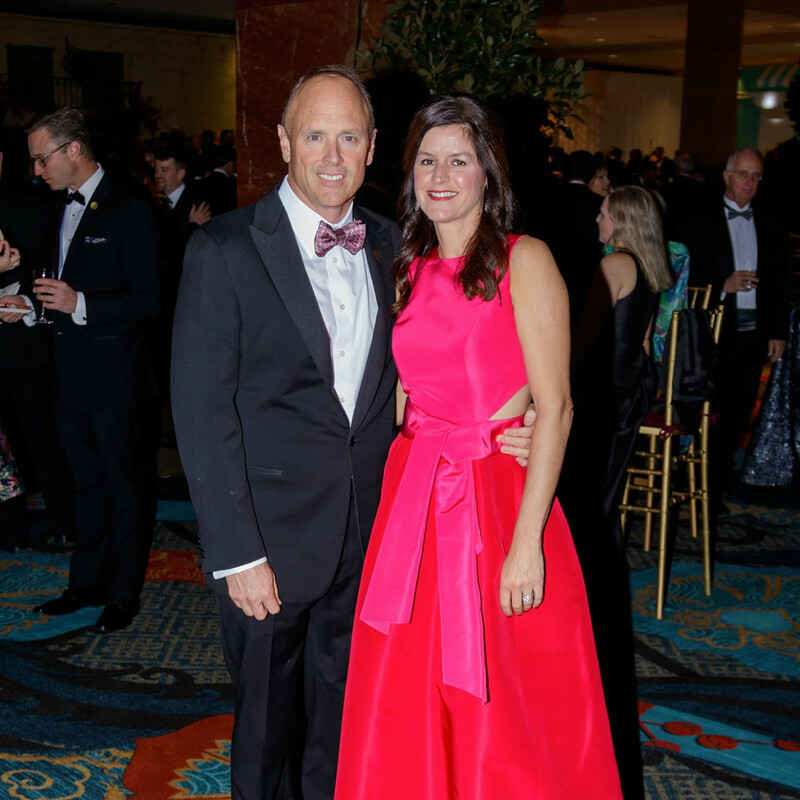 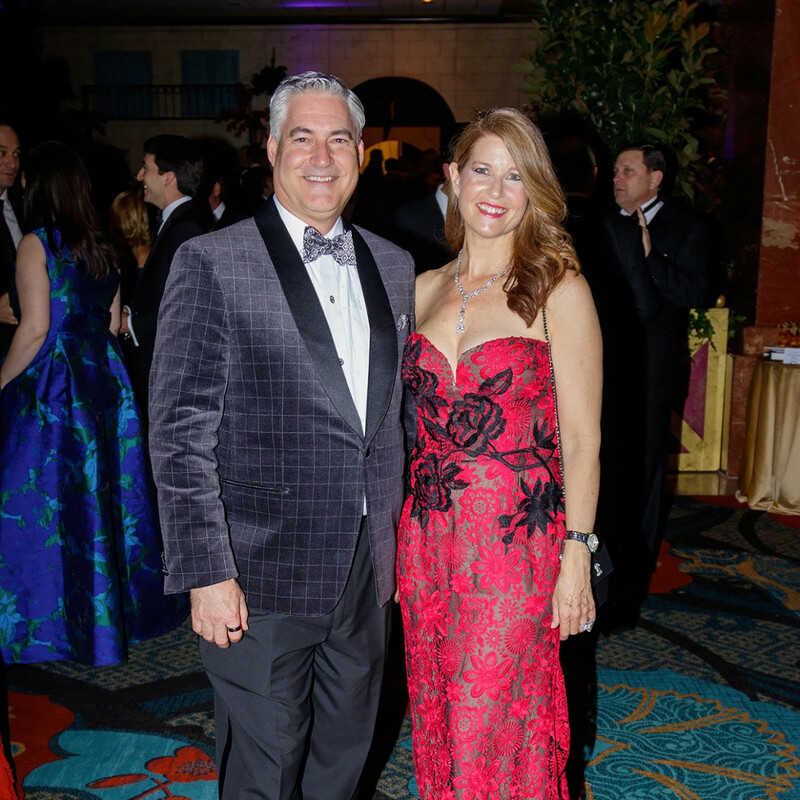 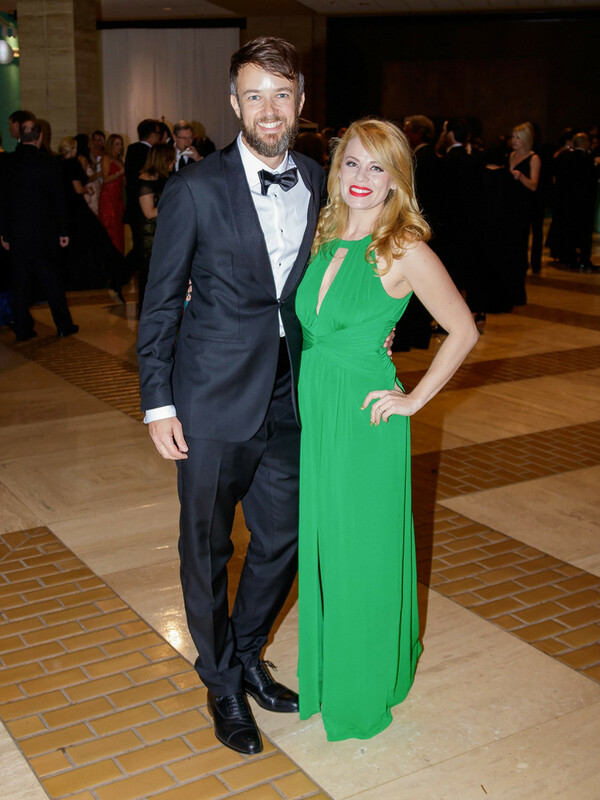 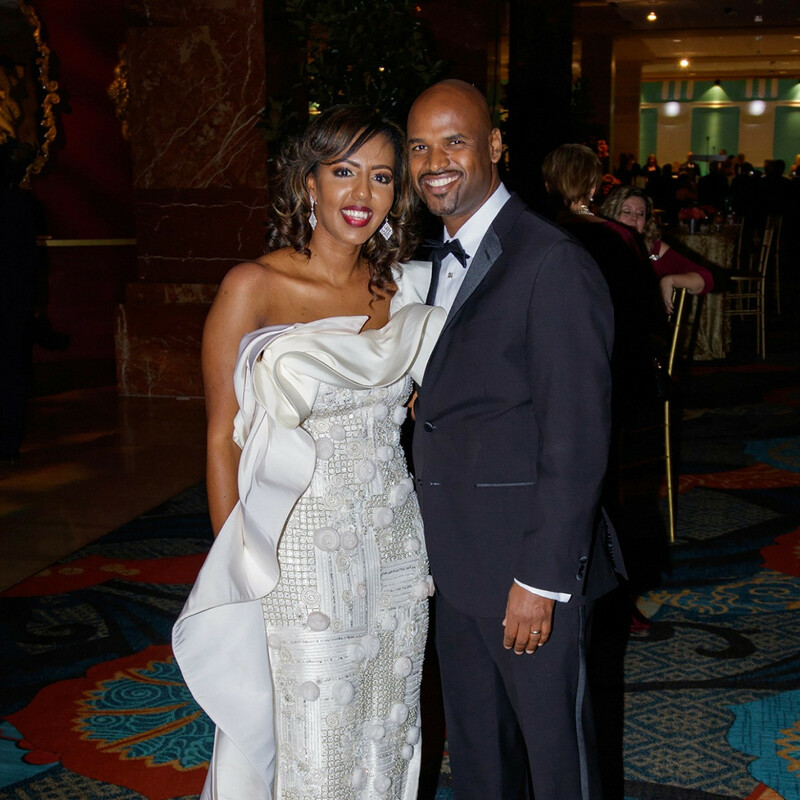 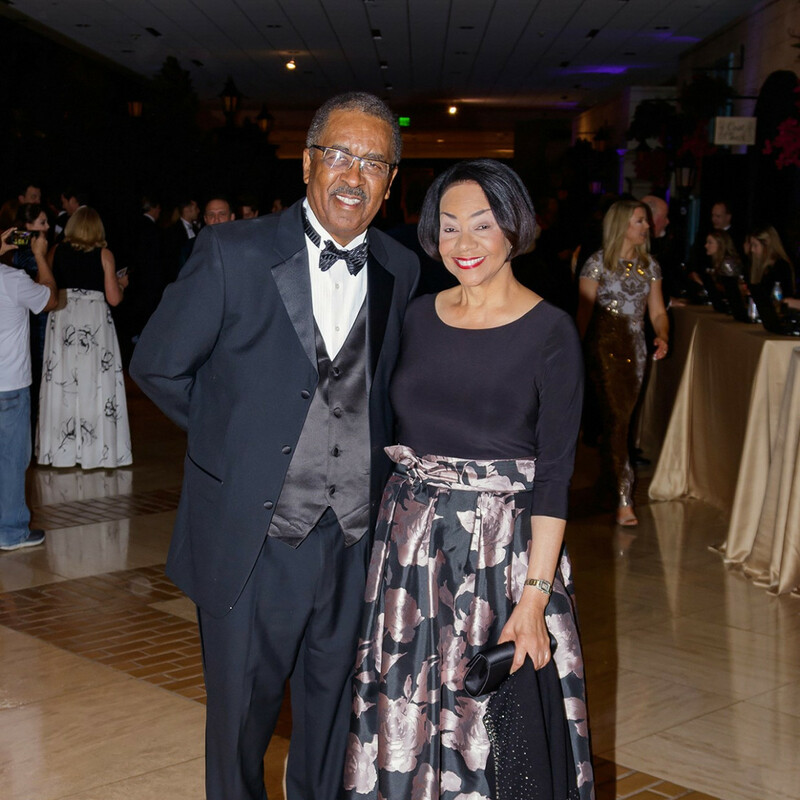 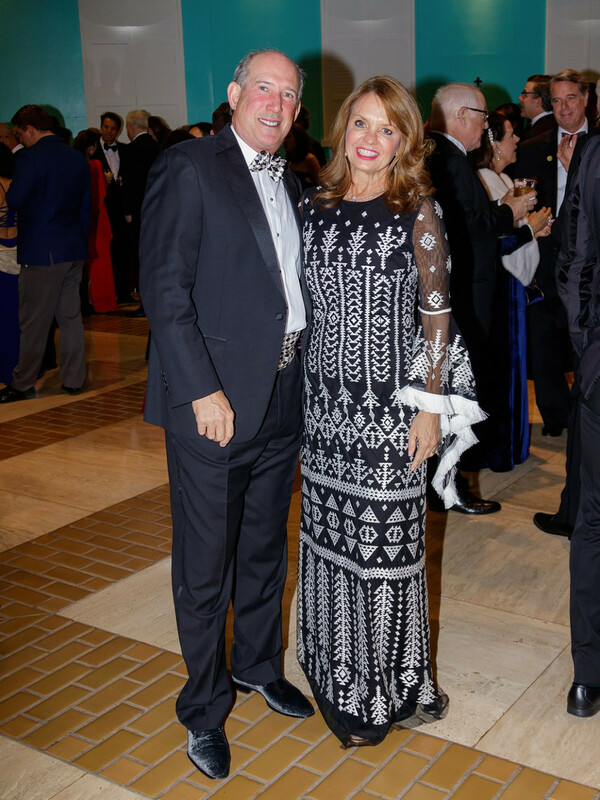 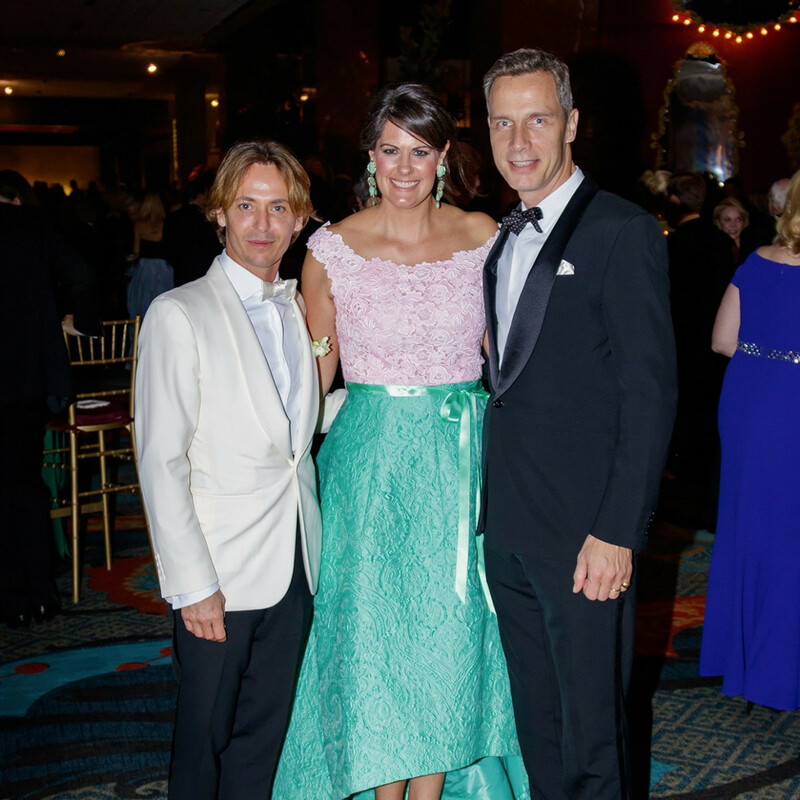 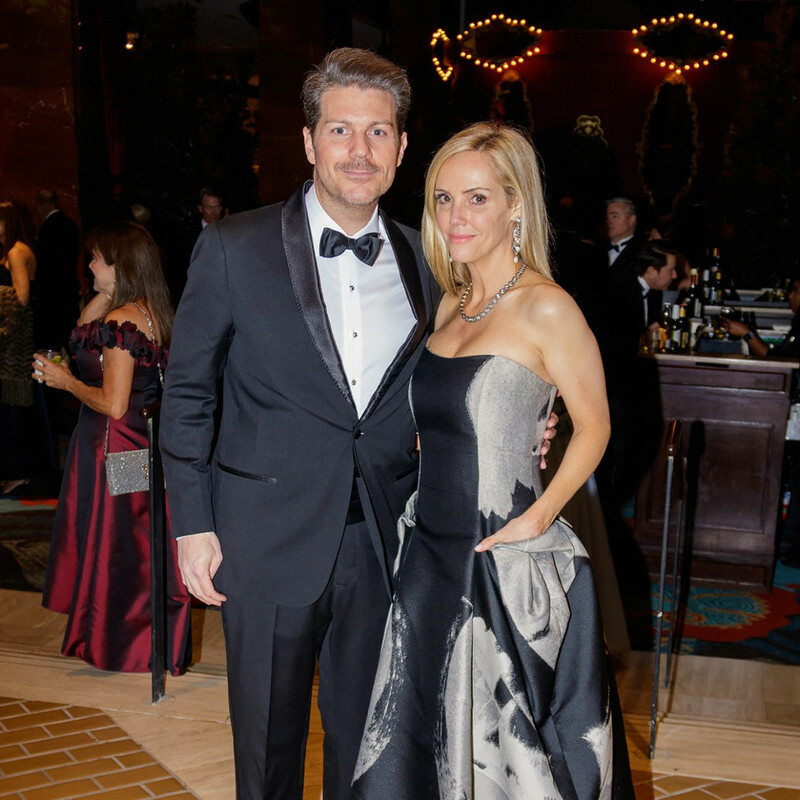 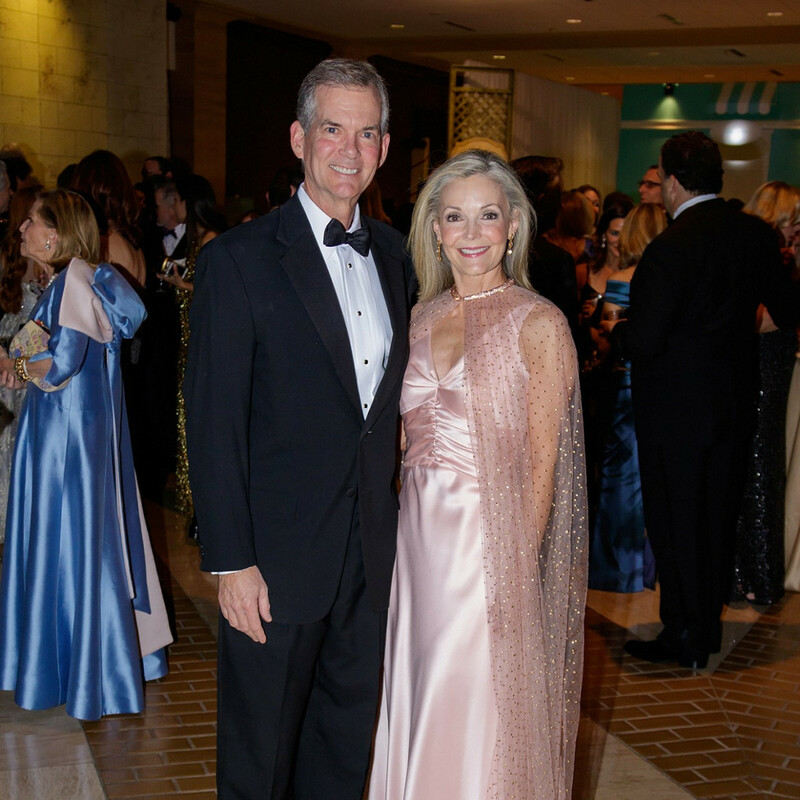 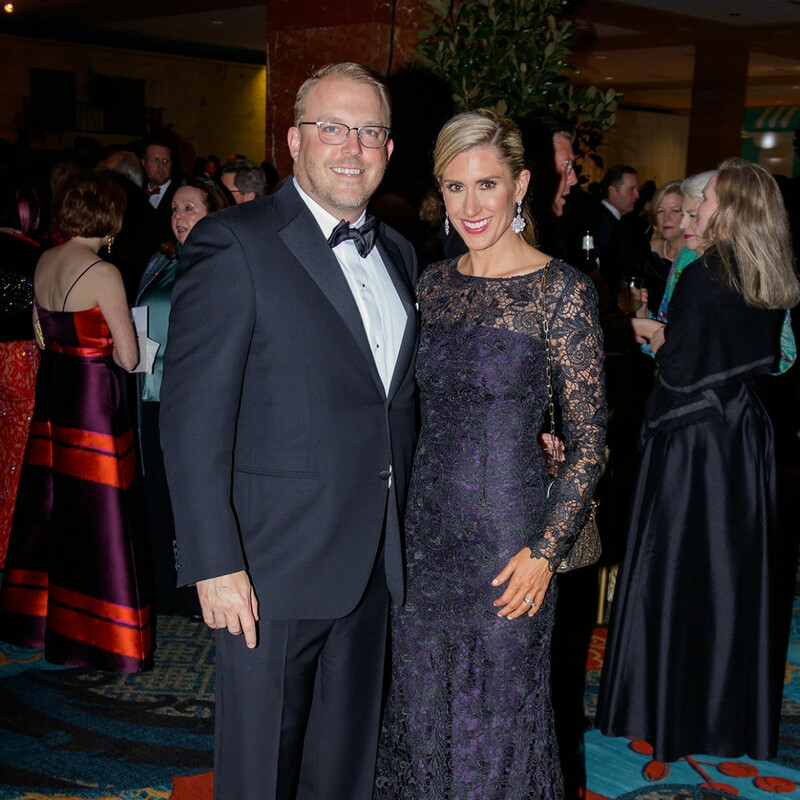 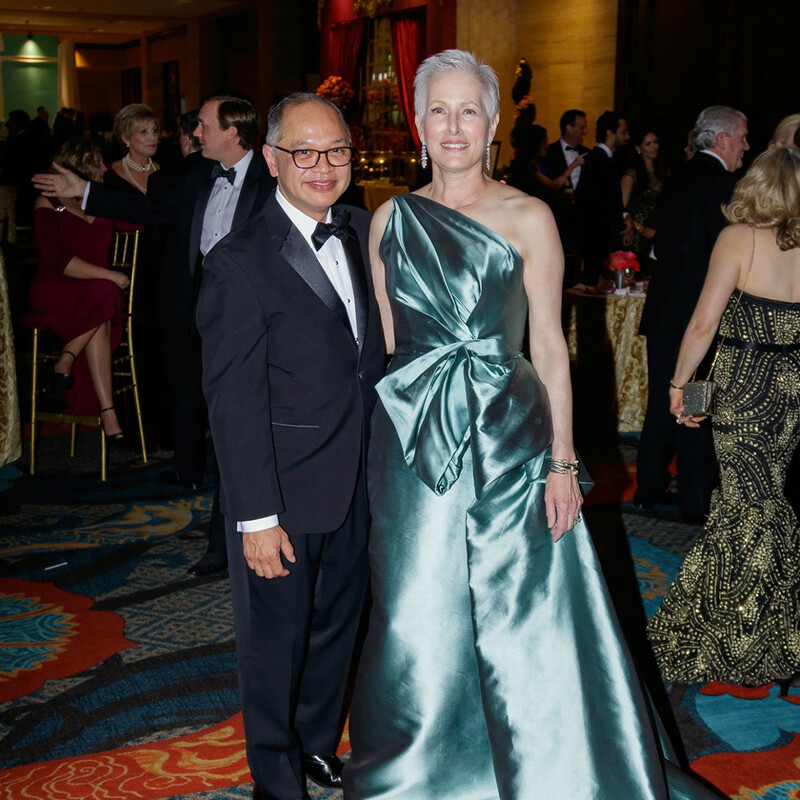 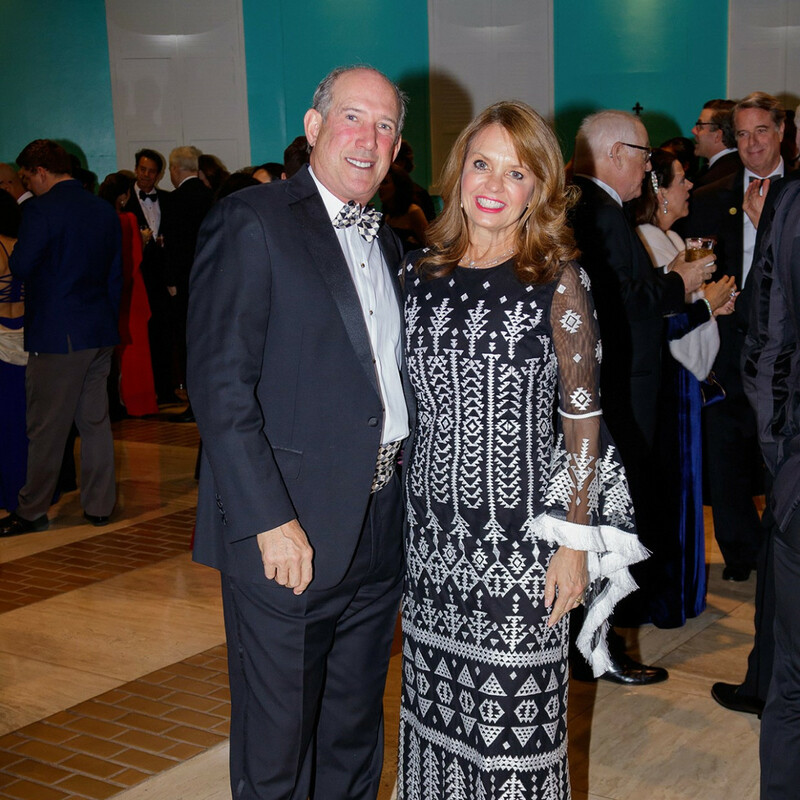 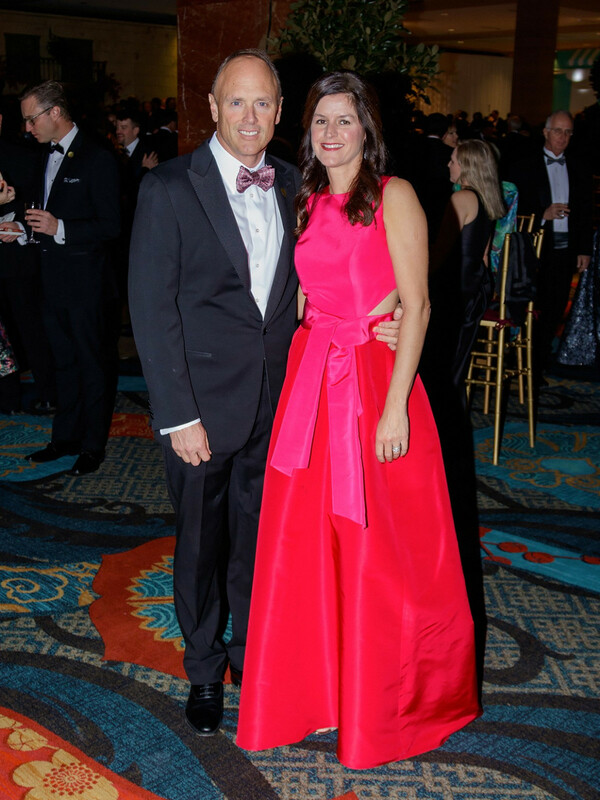 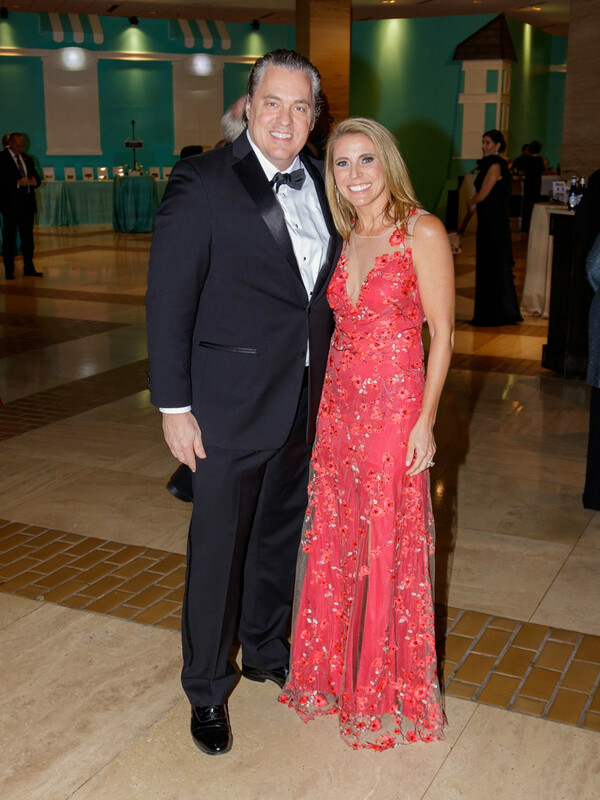 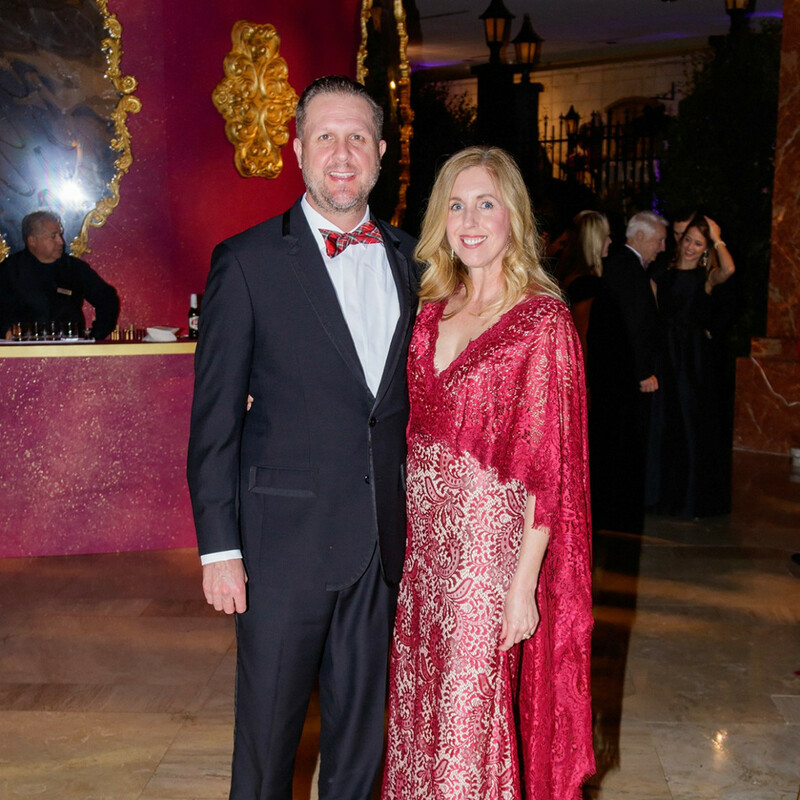 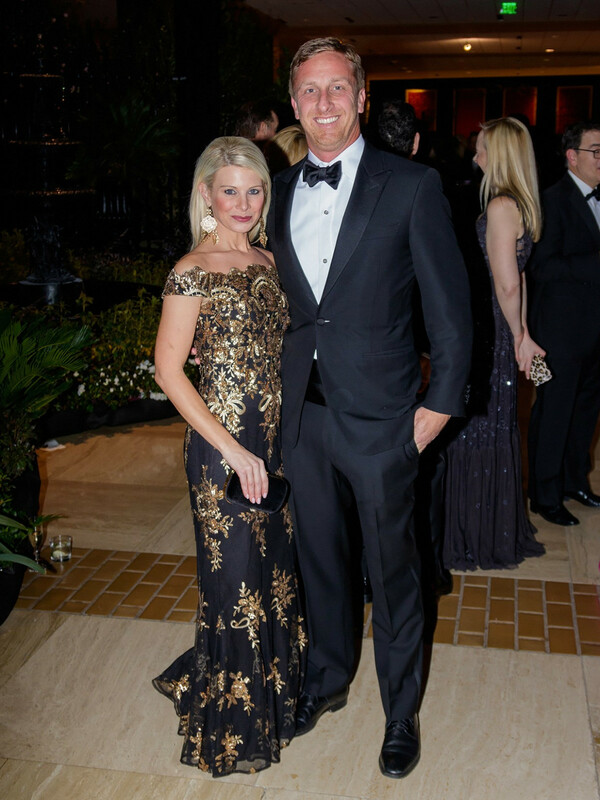 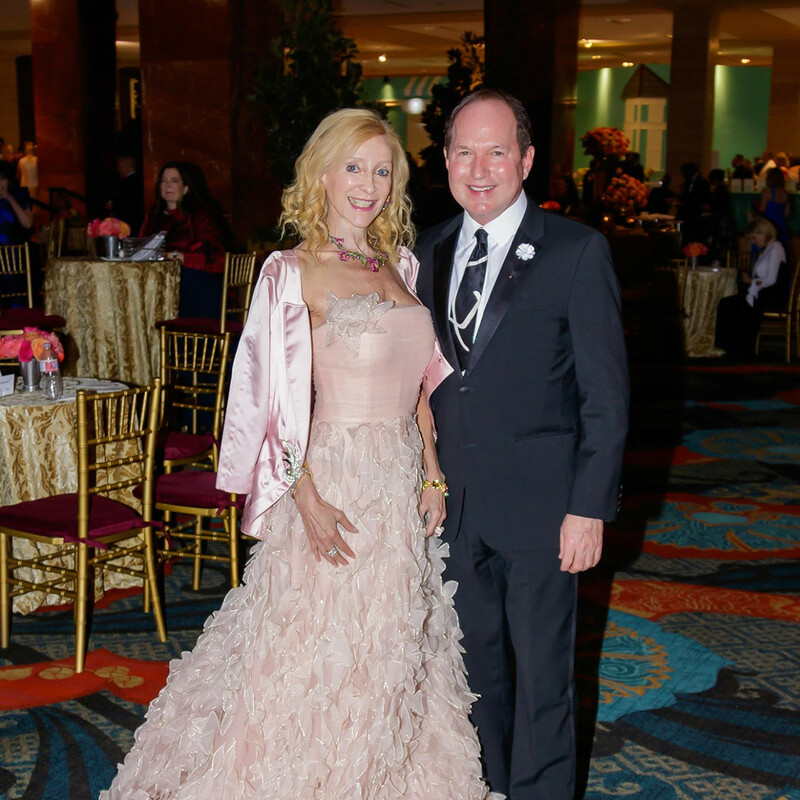 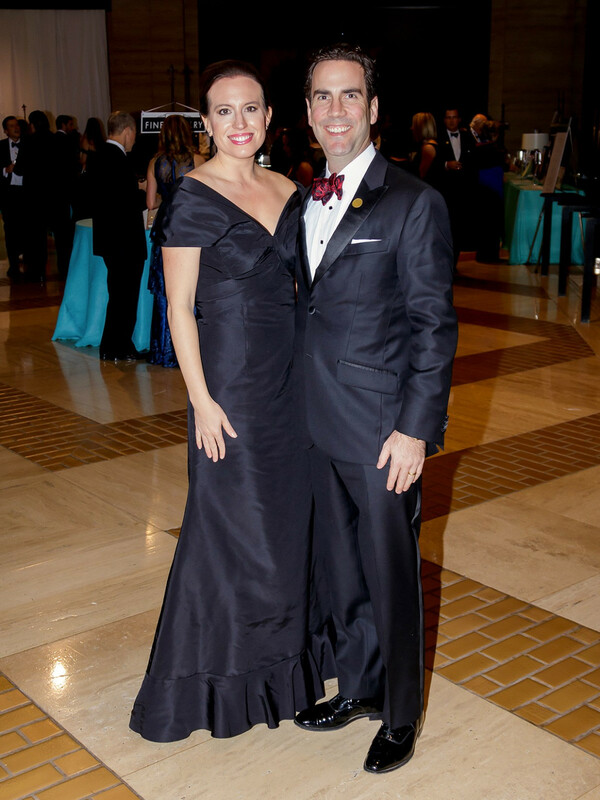 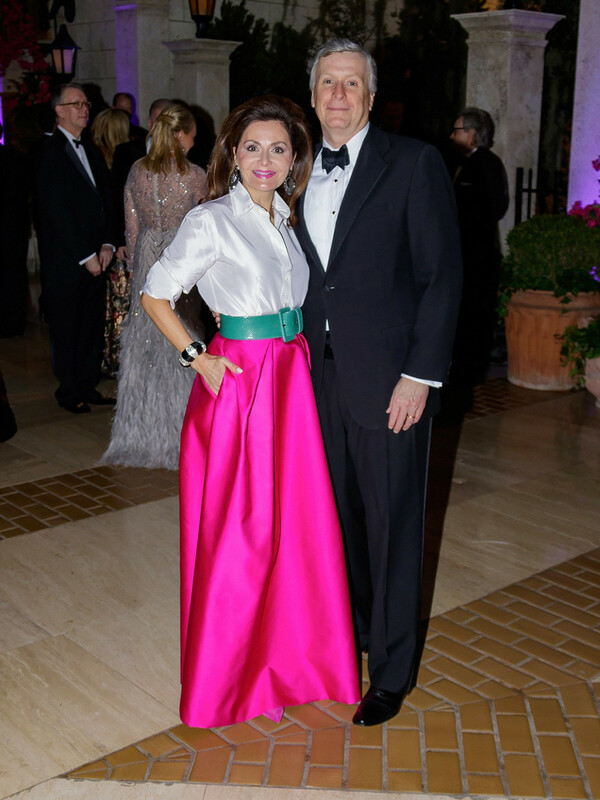 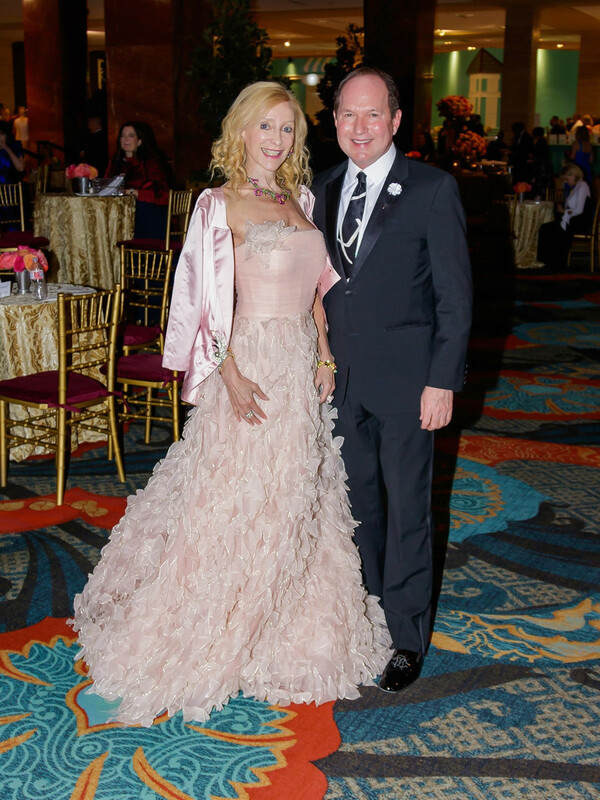 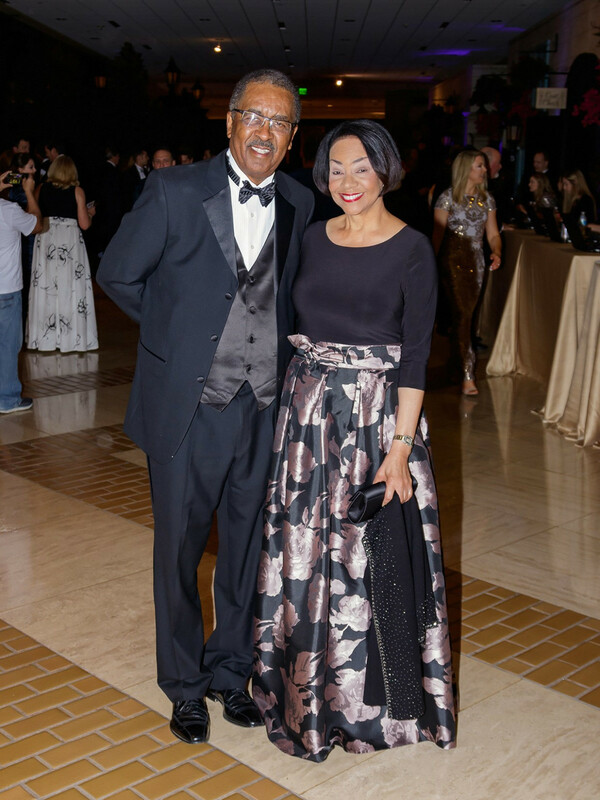 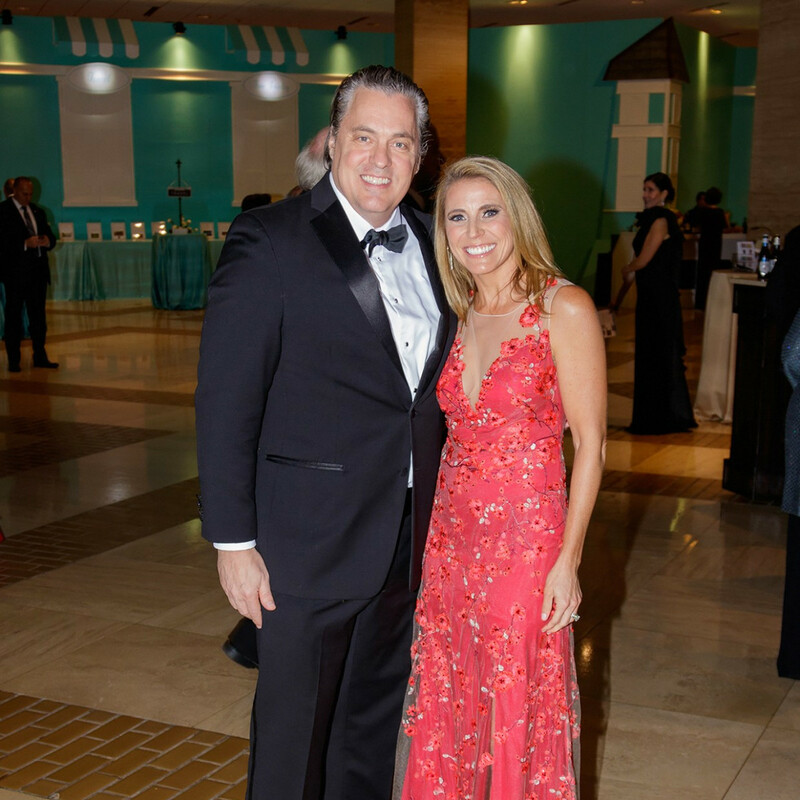 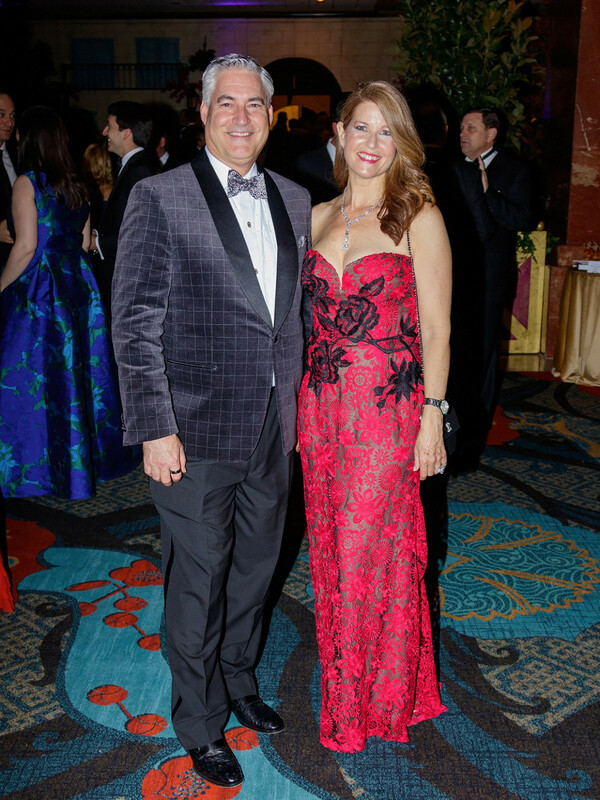 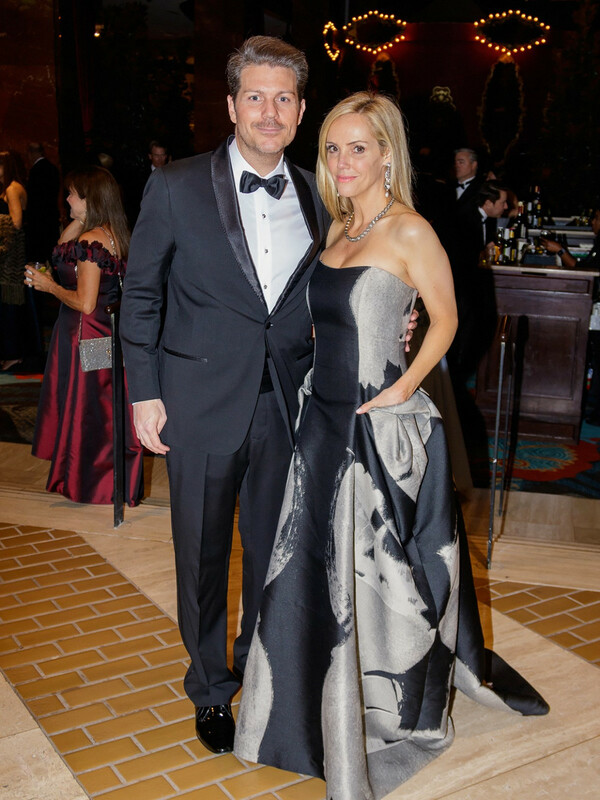 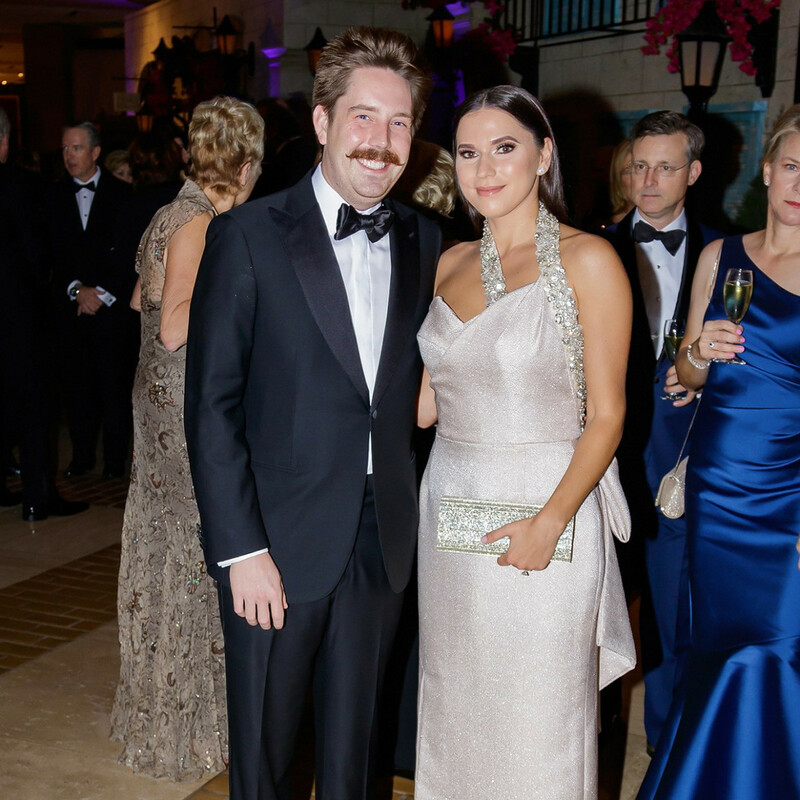 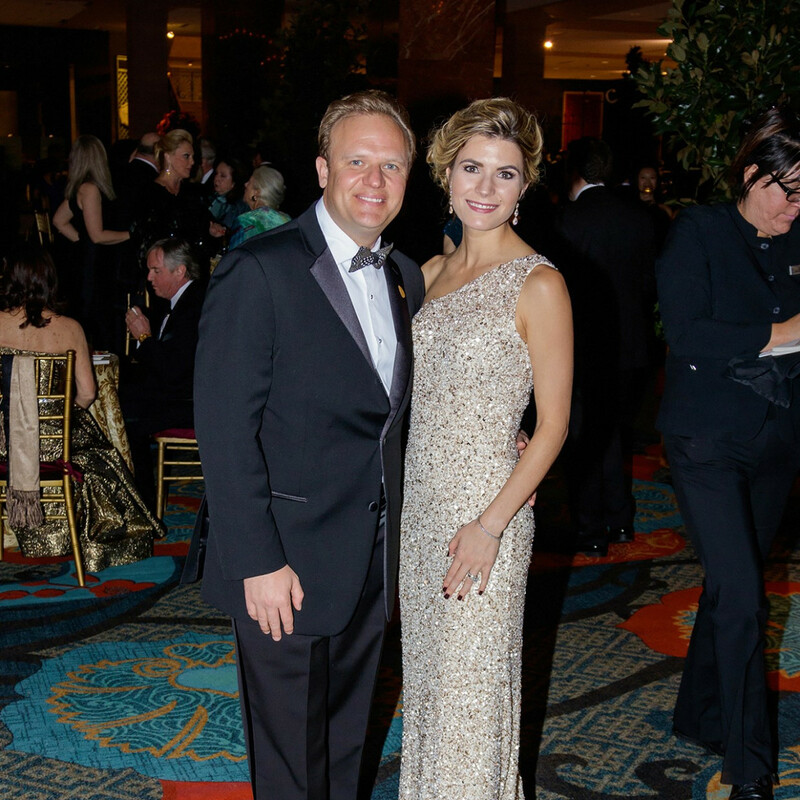 The best-dressed women in Dallas dazzled in their glamorous gowns as they strolled, arm-in-arm, with dapper gentlemen into the Hilton Anatole Hotel for Crystal Charity Ball on December 1. 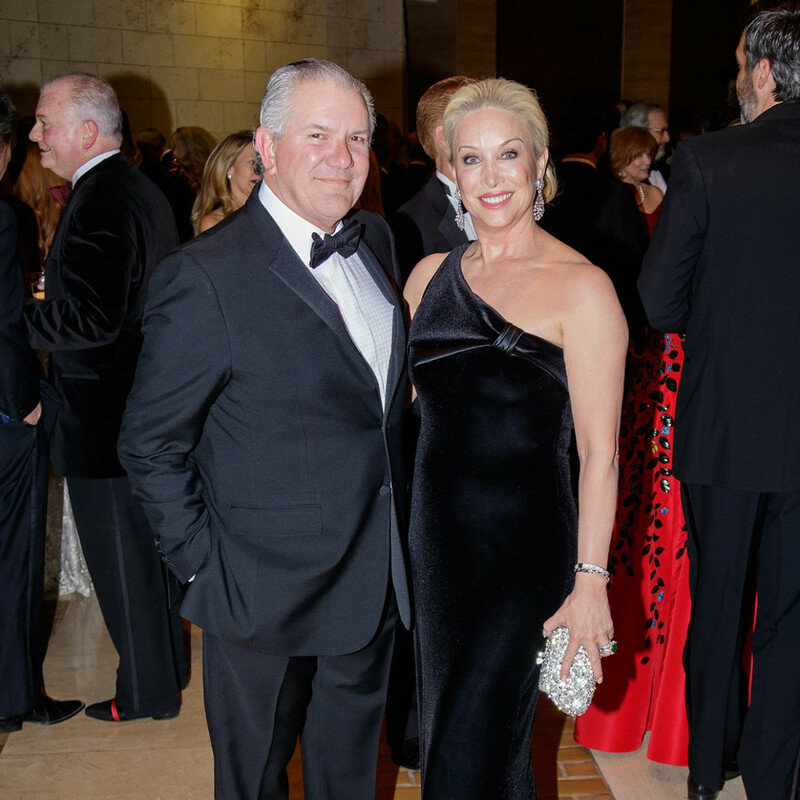 The annual fete is considered not only the grand finale of the social season, raising millions of dollars for local children's charities, but also the biggest fashion moment of the year in Dallas. 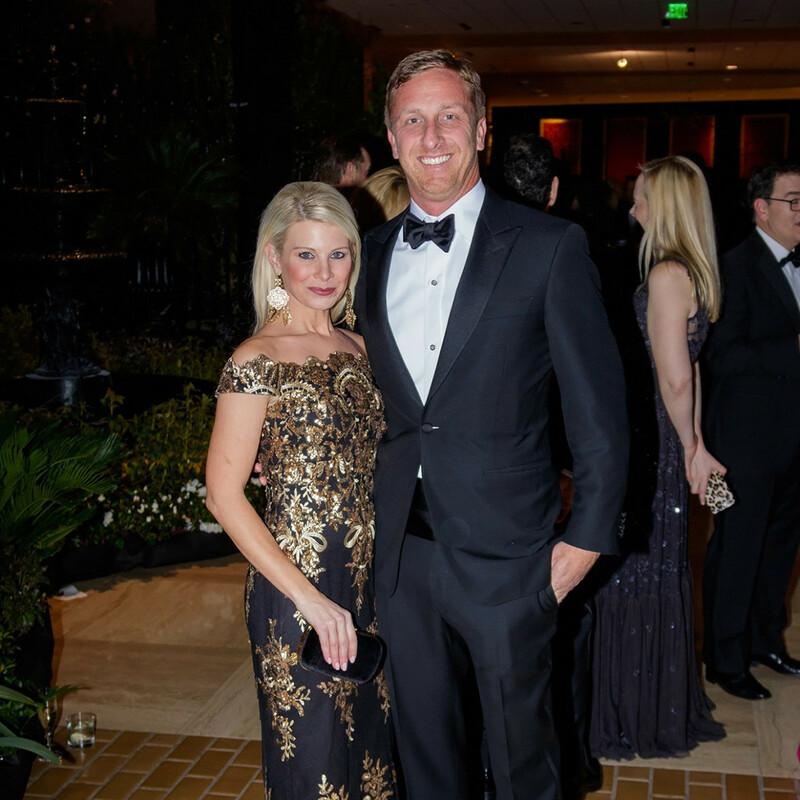 For many of the elegant attendees, black was the color of choice. 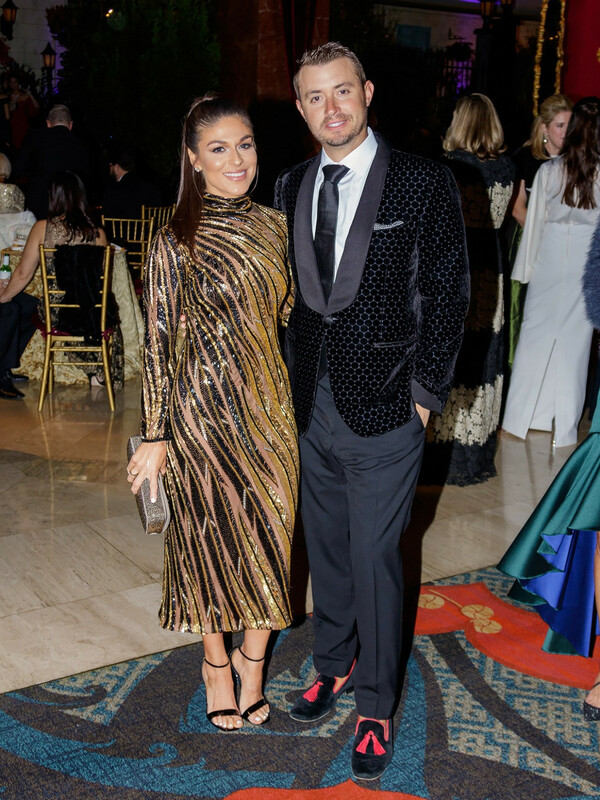 But it was anything but basic. 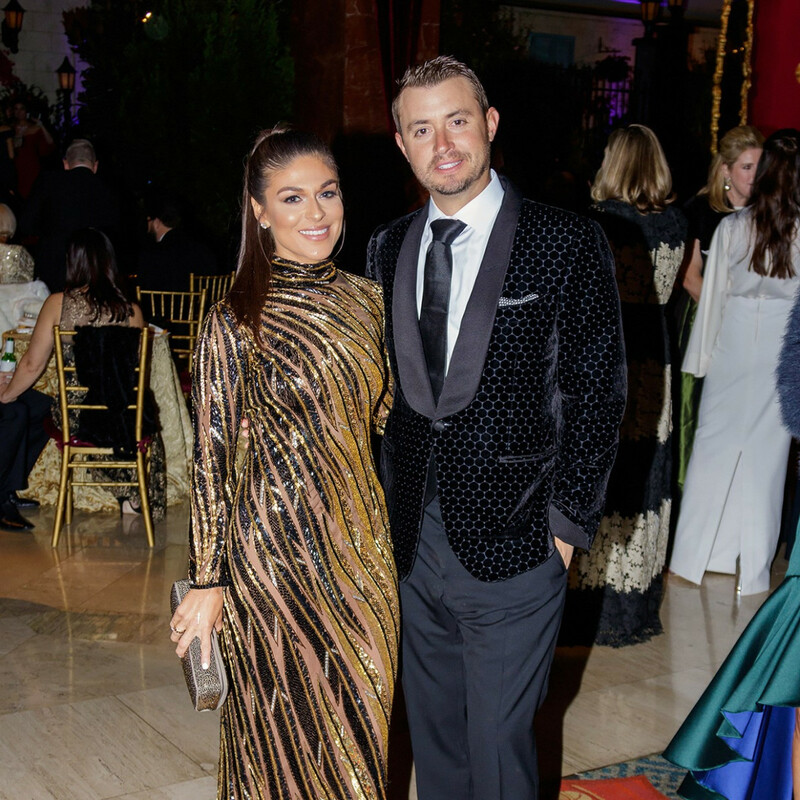 Gowns were embellished with rhinestones, metallics, ruffles, lace, tulle overlays, fur, and feathers — from necklines to trains. 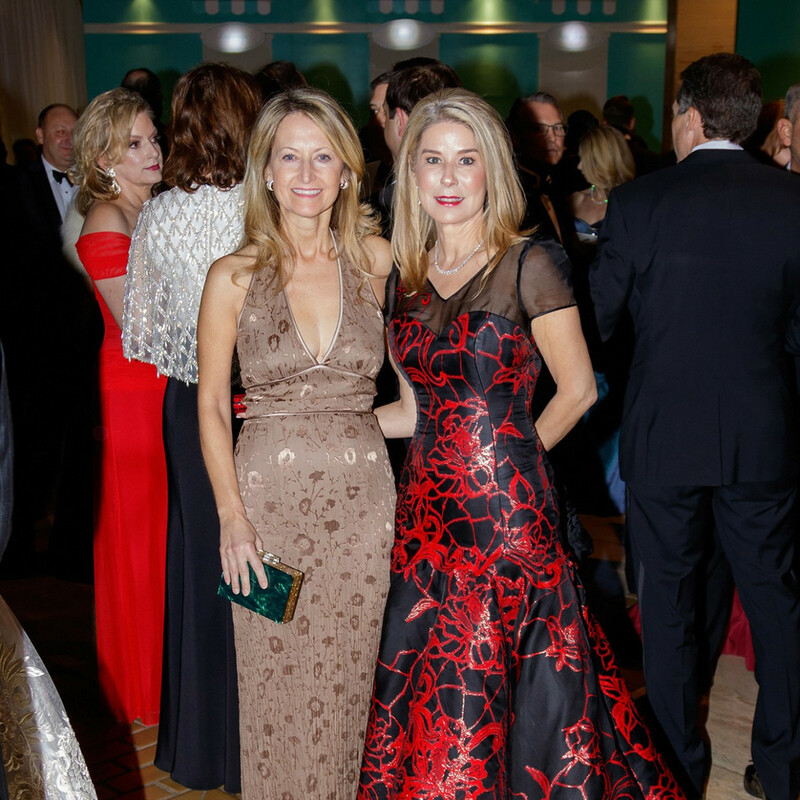 Standout guests in black designs included Rebekah Rodriguez, Kristen Gibbins, Kate Ford, Elizabeth George, Wilemia Shaw, and Kim Hext. 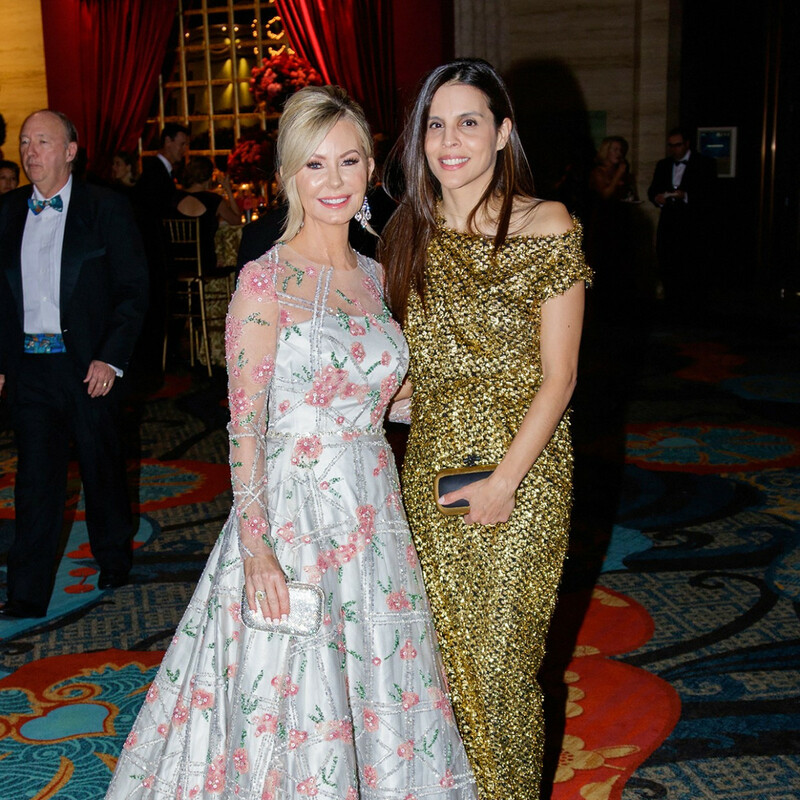 Toni Muñoz-Hunt chose Nha Khanh in black, Christe Shaul donned vintage Victor Costa, Maria Stafford rocked Valentino, Connie O'Neill chose Rickie Freeman for Teri Jon, Kim Purnell picked Ferragamo, Sabrina Harrison went with vintage Halston, Christel Crigler wore Rachel Zoe, and Leesa Alhadef donned Andrew Gn. 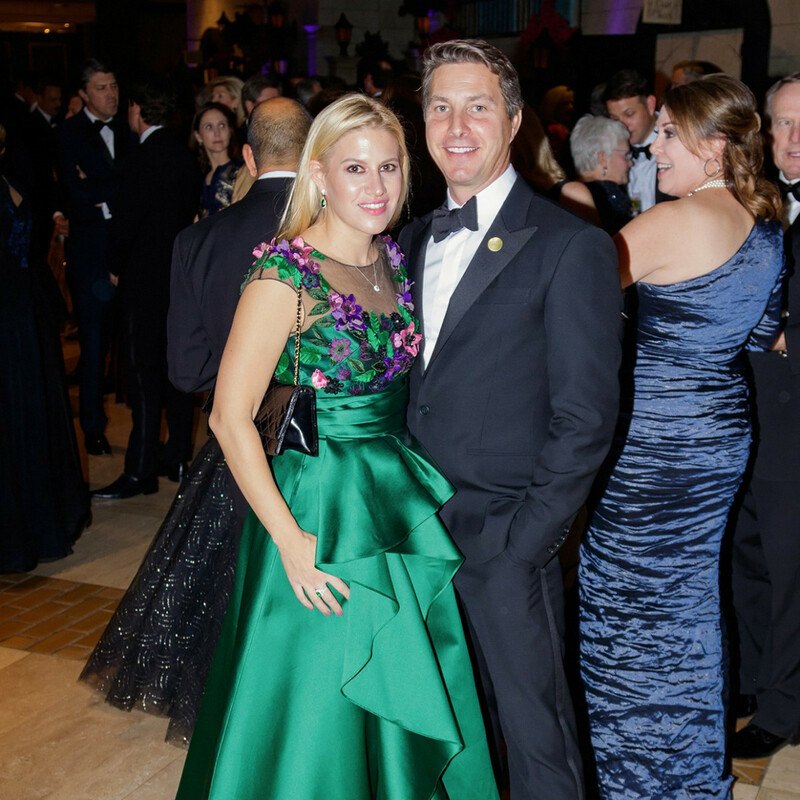 For every gorgeous black gown, it seemed, there was also a pop from every tone in the jewel case. 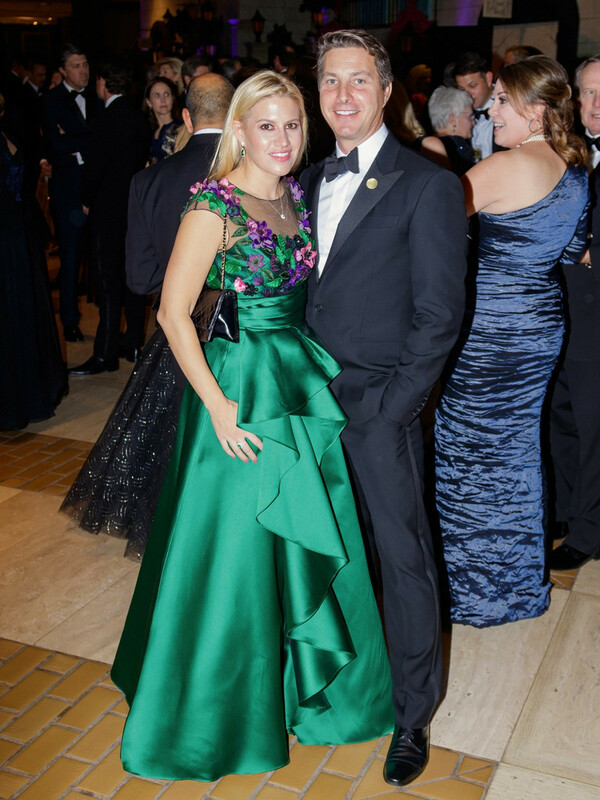 Amy Ward chose an emerald green Marchesa, Katherine Coker shimmered in light pink Monique Lhuillier, and Maria Villanueva shined in an ice blue Nardos gown. 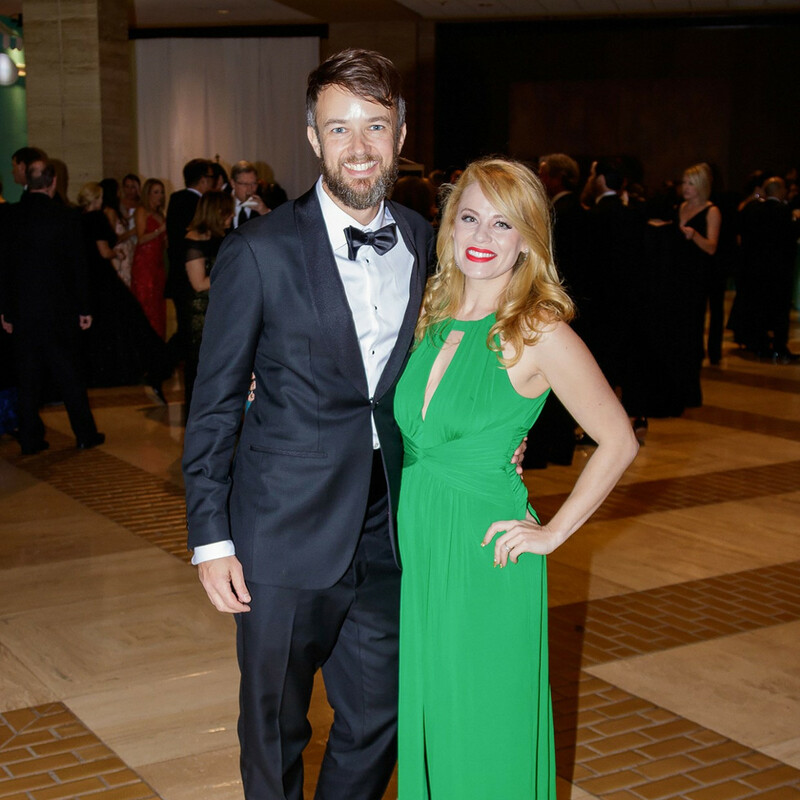 The fashionable Dallas philanthropists turned to a variety of favorite designers — both vintage and contemporary — for the occasion. 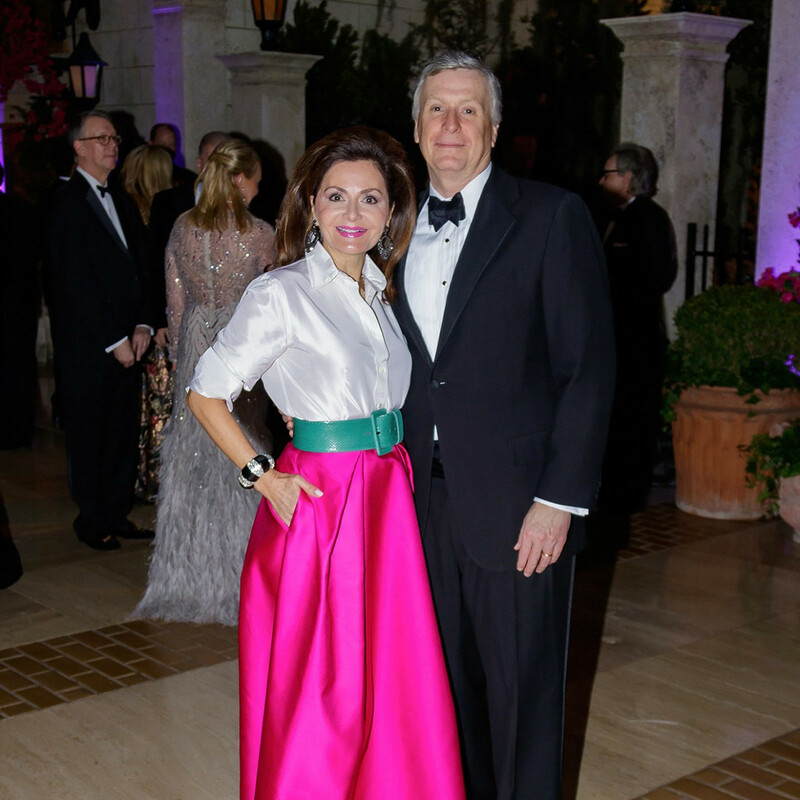 Anne Davidson, Mimi Sterling, and Laci Bowman chose Oscar de la Renta. 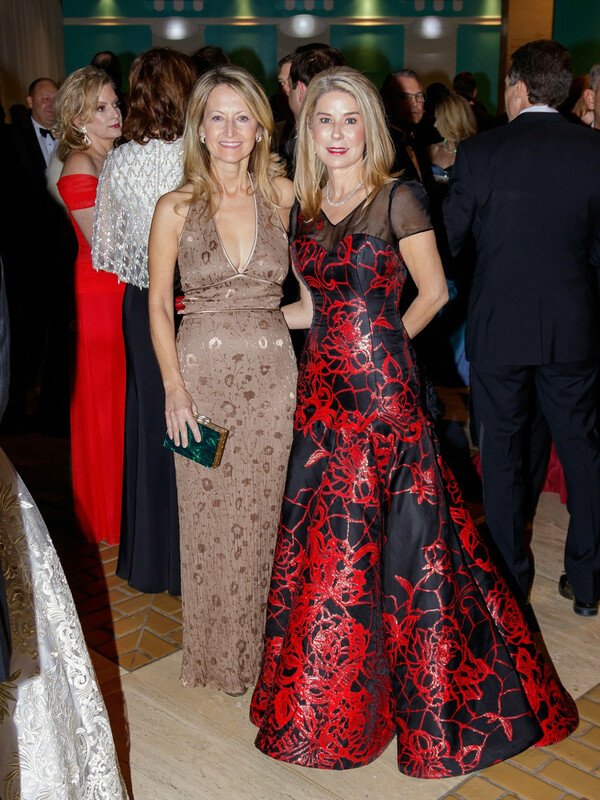 Melinda Knowles, Amanda Francis, and Ashley Hunt wore Carolina Herrera. 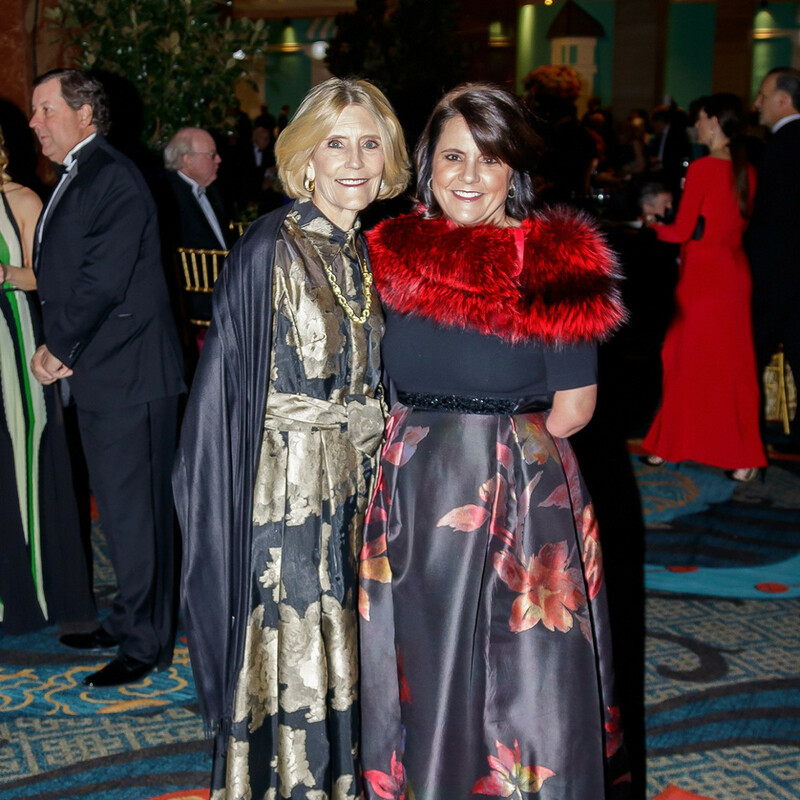 Claire Catrino and Bina Patel picked Theia. 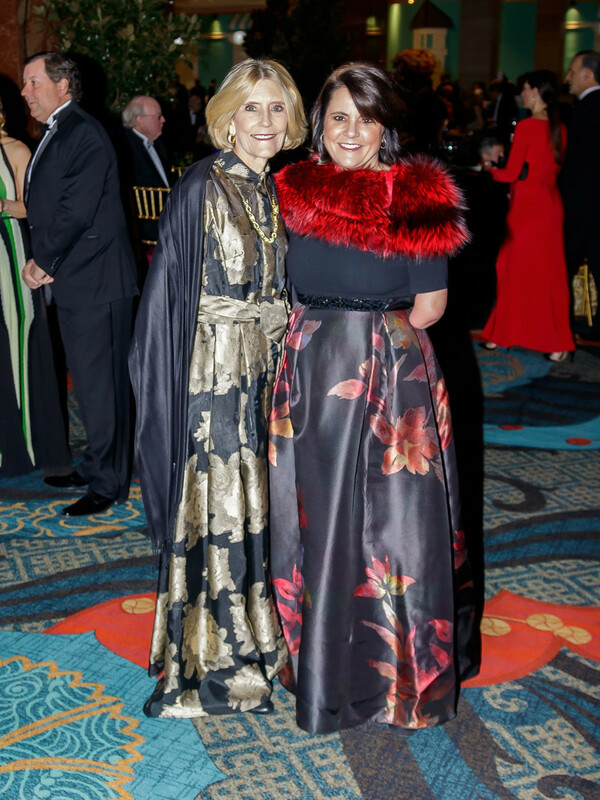 Also dressed to impressed were Tracy Madans in Valentino, Rosie Caruth in BCBG, Lisa Cooley in Patti Flowers, Shandra Asarwi in Roland Mouret, Francie Moody-Dahlberg in Naeem Khan, Bela Cooley in Vladi Duran, Jennifer Massey in a custom gown, Susan Glassmoyer in Elie Tahari, Lynn McBee in Marchesa, Tracy Lang in Michael Faircloth, and Nardos Imam in a gorgeous gown from her eponymous design house, Nardos. 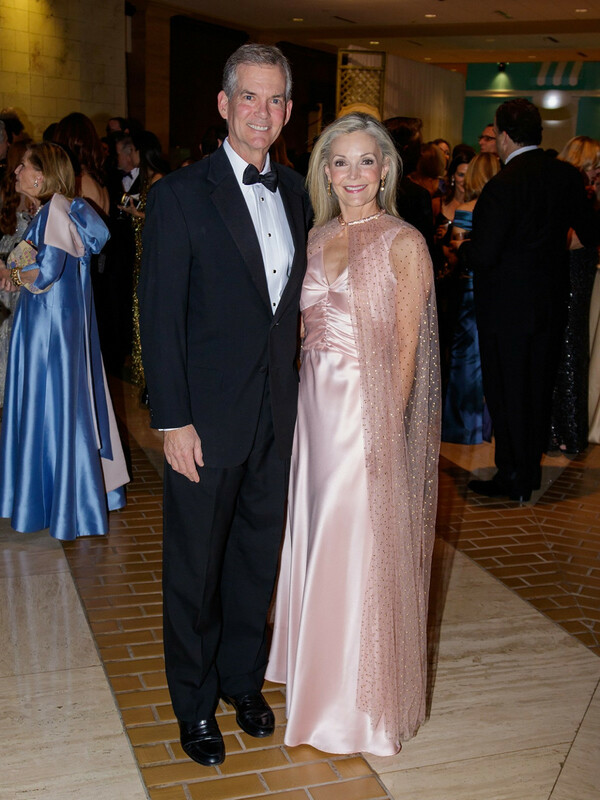 While they sipped bubbly during the cocktail reception, dined under wisteria trees in the ballroom, and danced the night away, the fashionable women of Dallas made sure to display their favorite accessories — their Southern grace, elegance, and charm.